If you’re looking for a unique dish to make for dinner or a delicious party snack, look no further than this recipe for nachos with fried eggs! This dish makes a great party food, whether it’s game day or you’re celebrating a birthday with family. Everyone who tries these nachos will surely be asking how you made them. This is a simple recipe that’s packed with flavor. The smoky sausage, gooey cheese, crunchy chips and savory fried egg all come together perfectly. The jalapenos give the nachos a bit of a kick, too. Once you’ve made this recipe the first time, be prepared to make it repeatedly! After just one taste, you and your family will be hooked. 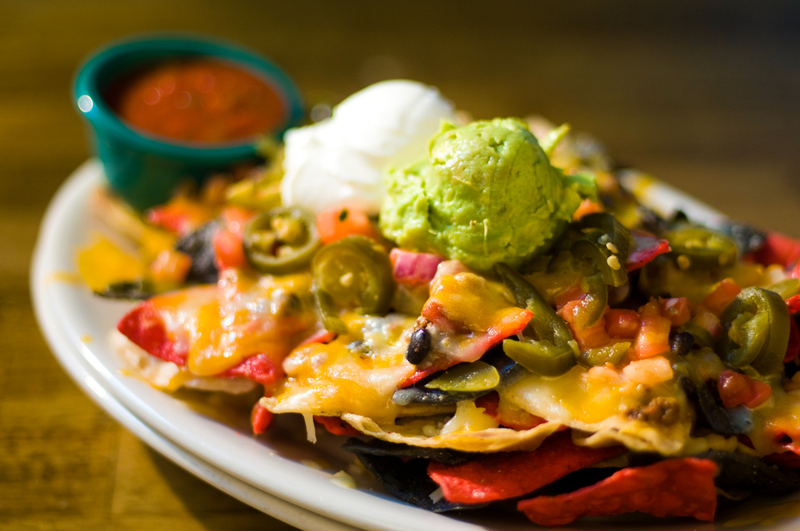 It won’t be long until you’re all craving these nachos again. To make homemade nachos with fried eggs, check out our recipe below! Cook the sausage meat in a medium skillet over medium-high heat until fully cooked but not yet browned. Remove the sausage from the skillet and set it aside. Drain the excess fat and wipe out the skillet. Brush a baking sheet with olive oil. Spread half the bag of tortilla chips over the olive oil. Cover the chips with half of the sausage meat, cheeses, black beans, and jalapenos. Add the rest of the tortilla chips over that layer. Top the nachos with the remaining sausage, cheese, black beans, and jalapenos. Bake the nachos for 10 to 12 minutes, or until the cheese is melted. While the nachos are baking, fry the eggs. In the skillet, heat up the tablespoon of olive oil over medium heat until it shimmers. Crack two of the eggs and season them with salt and black pepper. Cook the eggs until the whites are set, and the yolks are still slightly runny. Remove the eggs from the skillet with a spatula and transfer to a plate. Repeat with the other two eggs. When the nachos are finished baking, remove the baking sheet from the oven and top the nachos with the eggs. Add the chopped cilantro and add hot sauce and sour cream, as desired. Serve. Our recipe for cheese and egg nachos is great for many occasions. Whether it’s a day to celebrate or a regular Wednesday night, these nachos make for a great snack or even meal. To make this recipe genuinely amazing, be sure to use Sauder Eggs. We only bring you the freshest eggs, ensuring you’re using a high-quality ingredient every time.